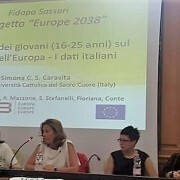 A multiplier event took place in Sassari (Sardinia) with the support of the FIDAPA Association . 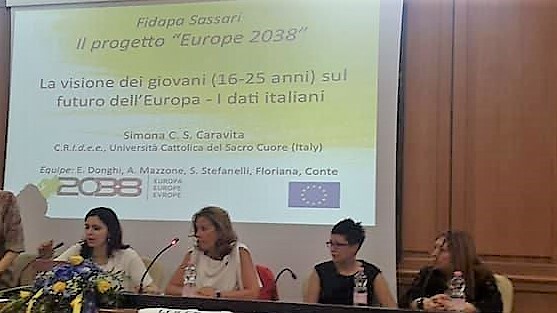 During the event, Simona Caravita (coordinator of the “Europe 2038” project for Italy) presented the main outcomes on expectations and worries of Italian youths about the future of Europe. These findings where commented by Prof. Gabriella Ferrante (University of Sassari) in light of the European Union laws, and discussed with the audience. At the end of the seminar, five youths reported their experiences as students involved in the Erasmus mobility projects.